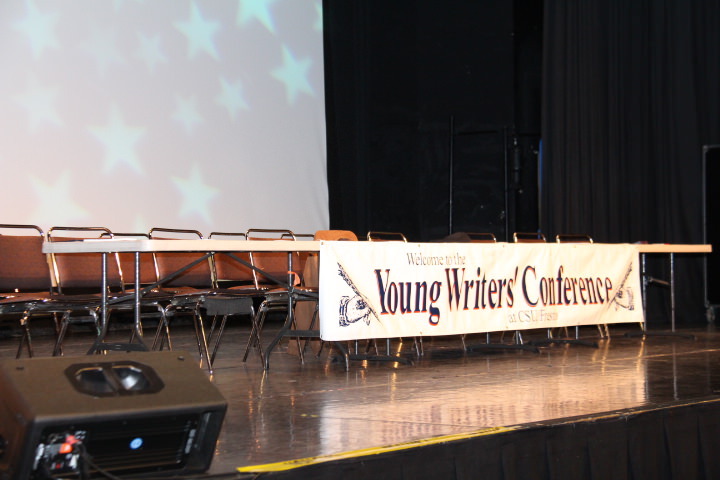 At the 2012 Young Writers Conference on March 28, Taralyn Culpepper from Lemoore High School was presented by Society Board member Brenda Magarity for her story of The Boxer’s. 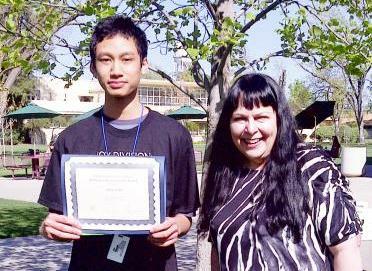 At the 2011 conference on April 6, Borin Setha from Duncan Polytechincal High School was presented the award by Society Board member Brenda Magarity for his work of creative fiction ALONG THE ROAD. 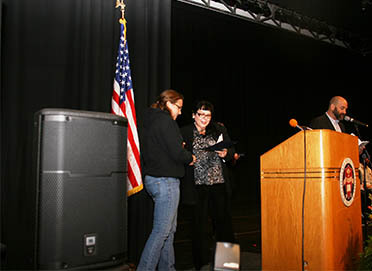 2010 award was presented to Emily Kroeker from Clovis East High School for her work of creative fiction THE SOUND OF LIFE. 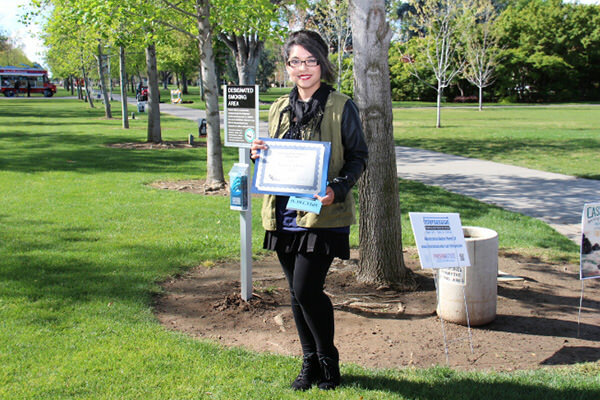 2009 award was presented to Victor Sandoval from Yosemite High School for his work of fiction entitled TRISHA. Each honoree’s name is followed by the name of their school and the city/state in which they reside. 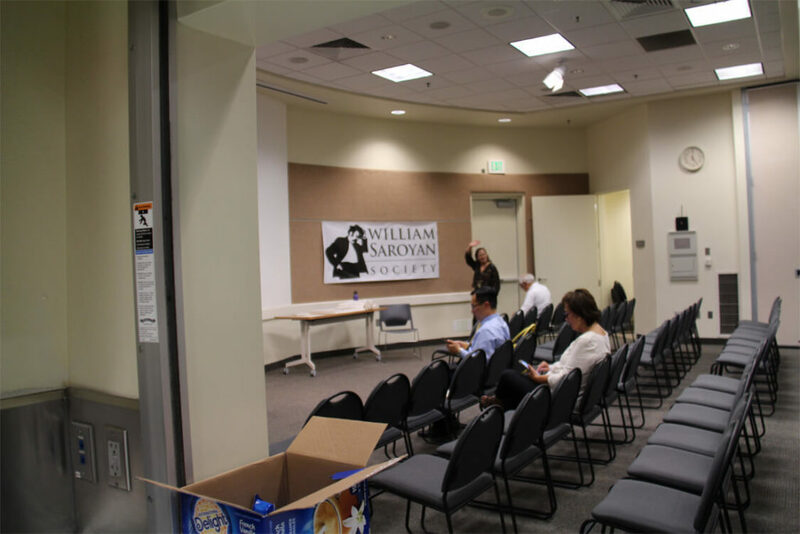 The William Saroyan Society in cooperation with the San Joaquin Valley Writers Project has not yet set a new schedule for the prize program. Centennial Awards published in In The Grove, issue 17 Summer 2009. Announcement: A limited number of copies of the book are available at $20 including tax. To order call 559-221-1441 for availability and delivery costs. 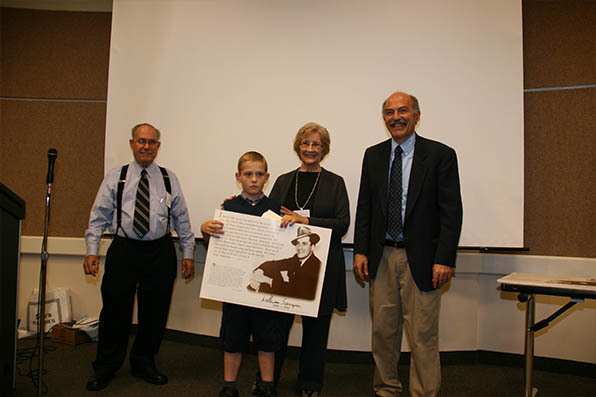 On September 24, the William Saroyan Society announced the publication of selected stories from the winning stories during the 26 years of the William Saroyan Story Writing Contest for students in grades 1 thorough college. 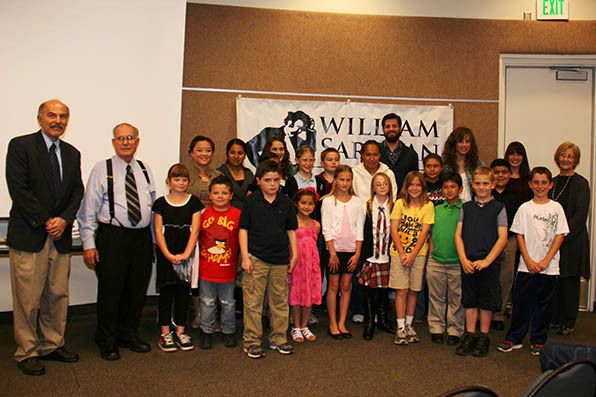 The hardbound book entitled The Best of the Best; 26 years of winning stories from the William Saroyan writing contests was presented to the 23 winning students and their schools. 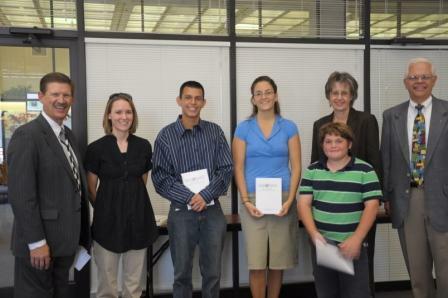 Shown receiving their books from Superintendent Larry Powell (left) and County Librarian Karen Bosch Cobb & John Kallenberg (right) are Michele (Ediger) Bowling, Juan Rangel, Gabriela Pauli, and John Halajian. 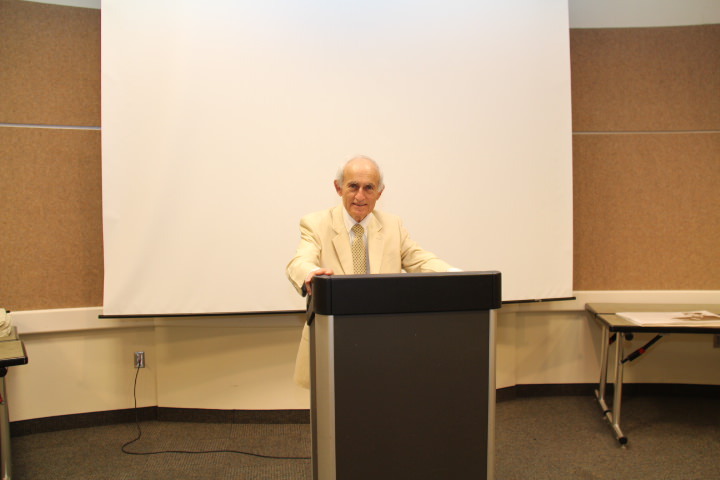 The contest began in 1982 and the stories were selected from the first place winners in each category for each of the 26 years to 2008. 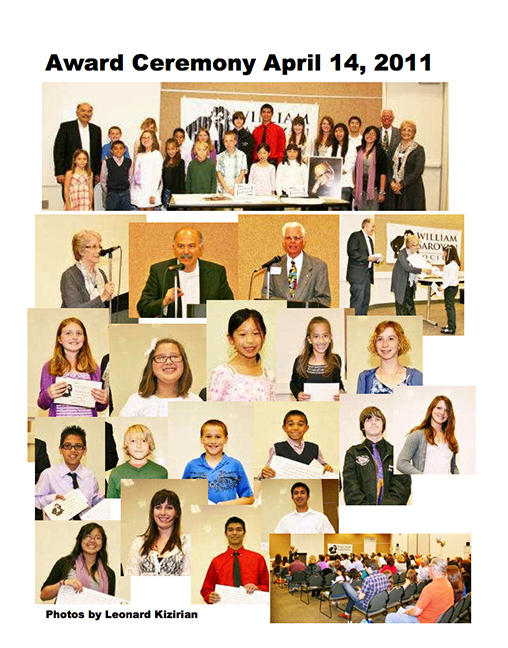 This publication was commissioned during the centennial celebration of the birth of Mr. Saroyan. 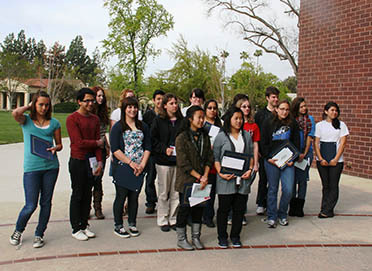 19 schools from the San Joaquin Valley were represented in the winning stories.